Today was so hot outside I almost whipped together my favorite summer drink. Iced TEA!! Ever since I found this delicious recipe over at Hillbilly house wife I have been making lots of batches each summer. Its very cheap and easy to make. I usually buy a large bag of No Name tea bags which will last a summer or two. 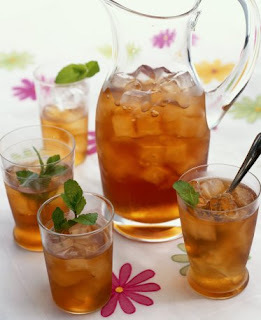 To give your iced tea some different flavors you could try adding lemon, mint or different flavored tea bags such as the fruit ones. I love to experiment with this recipe. Remember that tea does have caffeine in it and if you are not use to drinking it you can get addicted and suffer from head aches if you drink 3-4 glasses of iced tea one day and none the next. Head on over to We are that family to find more great works for me blogs! Recently I have been using my bread machine to make our bread! It turns out, with the price of flour at Costco being $7.50/10 kg, to be cheaper then buying most breads in the grocery store. I found this recipe for Wheat bread over at Tammy's Recipes and have been using it almost every week. I simply put all ingredients together in the machine and hit the dough cycle button. In 1 hour and 3 minutes the dough is done and I put it into a bread pan (or two old coffee cans to make round bread) let it raise then put it into the oven for 30 minutes. The goodness of homemade bread minus all the work. If you have a bread maker get it out and whip up some bread and if you don't have one start looking around at second hand stores or yard sales this summer! I can't believe Monday is here and almost over and I am just getting to posting my meal plan. Sorry readers that I haven't been on the ball the past couple of weeks but I have been really busy! I started back volunteering at the Pregnancy Resource Center! I love it so much there and the past two weeks I have started teaching a program there called Home with a Heart! Its a great program and I am excited to see what God has in store! This afternoon while the little guy was sleeping I put together a rough meal plan so I could head out to the grocery store once he woke up. Here is what I came up with! Next week moms in town so I am sure we will have lots of BBQ!! Good thing I picked up some 50% off things today. Now is a great time for picking up things for the summer. Today I got 3 packages of hamburger buns all 50% off as well I picked up some stew meat. I am sure you are thinking stew meat in the summer?? But now is a great time to get this stuff on sale because it is wonderful for Kabobs! And I just love this idea of a Kabob party. This is a deal I just have to share! 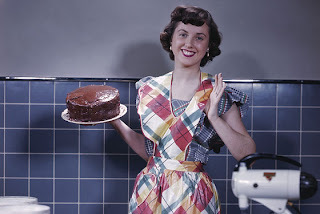 When we were first married I use to buy the hard margarine blocks to do all my cooking and baking. I mean why wouldn't you; they are already measured for you 1 cube = 1/2 cup, and they were cheap. After using these for almost a year my "Dietitian" conscience couldn't stand it anymore knowing how bad hydrogenated margarine's are for our health. With our tight grocery budget and my desire to bake I was on a search to find a cheap non hydrogenated margarine. 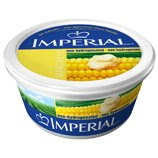 I found out that the blocks and the large tubes (1.3 kg) equaled the same amount of margarine and where the same price (for some brands). So what I started to do was buy these up when they went on sale for $1.99; yes at times it was a little embarrassing walking around the grocery store with 5 tubes of margarine in my chart; but the embarrassment was well worth the savings of 4-5 dollars per tube!! Also to remind you readers that marketing is everything for brand names and some brands you will pay almost 10 bucks for one of these tubes. They are all the same and if you look the labels there is nothing special from one brand to the next...so save yourself some money and buy the cheaper brand. With all that said for you readers who shop at Super store they have these 1.3 Kg tubes on sale for $2.99. Its a great deal. And one way that you can make it as easy as the blocks is portion it all out. Simply measure out 1/2 cups and put into baggies. You can put these baggies into a basket in the freezer or fridge and you are ready bake, bake, bake!! I love making twice stuffed potatoes. Most people would think these take LOTS of time to prepare but with meal planning they are so quick and easy to whip together. But if you are in a hurry and want to spruce up the spuds here is a quick and easy way to make these delicious potatoes. Start by washing up you potatoes and poking them with a fork. Then place them in the microwave for 10 minutes or until you can stick a fork in them easily. When they are done let them cool then cut around the top and scarp out the inside. I usually cook up the spuds while the baby is napping, in the morning or just before we are going out for our afternoon walk; that way I can let them cool before I start to take out the inside. Place insides into a large bowl and mash with butter and milk. You can also add sour cream, cream cheese, or grated cheese. While I am mashing up the potatoes I place the empty skins back into the oven. This way the skins get really crispy which makes it easier to put the filling in and it makes the potato taste better! Oh but wait before you pop the skins back into the oven rub some oil and sprinkle some salt on them! YUMMY!! When the skin is crispy (5-10 minutes) stuff with potato filling and bake or broil for another 5-10 minutes. I when all finished we like to pour melted cheese on the top! There you have it. Quick and easy twice baked potatoes. For more great kitchen ideas, recipes and tips check out Tammys recipes. Another week of meal plans. Sorry I am late posting but I had a busy weekend; getting the yard cleaned up now that the snow is melted away. Also today I started back at the Pregnancy Resource Center teaching a program called Home with a Heart! I am excited to see what God is going to do through this program. Saturday: Away at a Women who Worship conference. It took me a little while to figure out what I was going to post about today. I guess I was thinking what can I write about fast so I can get into my craft room!! hehehe...so why not tell all you wonderful readers about making cards. Making our own cards has saved us a fare chunk of change. It comes in handy to have a stack of cards on hand for someones birthday, a baby shower, wedding, anniversary or just to encourage a friend. To start making cards I had some card stock, markers, 1 pair of crazy scissors, a stamp and a glue stick. Now that I have been at it for a couple of years my collection of stuff as grown so much that I have my own little craft room! Many of my supplies are bought on sale or given to me as gifts. This fun hobby helps save us money in the long run. A card now a days can cost any wheres from 3-7 dollars!! I can easy make any cards for WAY cheaper then that. Also the fun part of making cards is its your own expression and you can put whatever you want on and in the card. Another fun thing that I like to do is give cards away as gifts. People always need cards so it makes a great present to give a pack of homemade cards to family and friends. I recently gave these away for a baby shower gift. Last week well getting groceries I happen to stumble on a great deal. These mini yogurts (6 pack) were on sale for $1! I never bought them before but thought they would be a good treat for the babe! Because the date was fast approaching I decided to make Popsicles out of them. So I stuck the Popsicle sticks right into the mini containers and put them in the freezer. Eben got to enjoy this yummy treat for dessert after supper that day. He really loved them! Now I have been washing out the mini containers to keep; to make baby size Popsicles for him this summer. Once the can is lined I add the amount I want to freeze. For things like chili I like to freeze some in one cup portions so they can be used for lunches. Other things like gravy, soup and sauces I just dump them into the can. When your liquid is in the bag you simply pull it out and tie it up. Quick, easy, and no mess. We are back!!! Actually I never really went anywhere but the little guy was sick last week which left no time for blogging. This week we are all up and feeling much better. We enjoyed a fun Easter weekend home with my parents eating lots of treats!! Now this week we will use up some leftovers from the turkey/ham supper! While I was home I got to run over to the states to pick up some groceries. I can't believe the deals I got ; cream cheese for 0.99!! You bet I am making some sort of creamy pasta this week! Hey readers, so I haven't posted this week but the little guy has been sick and we have been in the hospital with him. He is doing much better now and we are praying that he starts to get some energy back. I wanted to re-post about my Easter treats. I think I will make them again this year for our family Easter supper on Saturday (mom you can pick up the Rice Krispie ingredients?). Have a great Resurrection weekend!!! Thank you God for sending Jesus and that the grave couldn't hold him!!! Here is a great way to decorate your table for this weekends Easter Feast! They are little "egg nest"
They are your basic Rice Krispie square recipe but instead of making them into squares you shape them into little nest. 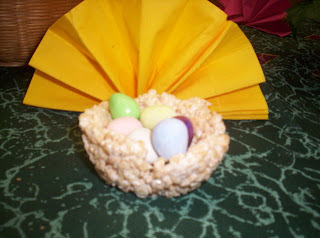 This can be done but using your hand to make the nest or you can just mold the Rice Krispie mixture into a muffin tin. Once they have sat you can take them out , place them on the table and fill up the little nest with some Easter eggs!! Also I cool idea I saw was you can substitute the rice krispies for crispy Chow mien noodles to make them look just like a bird nest. Here are some more Fun Easter treats you can make with the kids. They are cup cake Easter basket treats and flowers. All I did was make a basic chocolate cake recipe and made it into cup cakes. Then I made some green frosting for the topping. 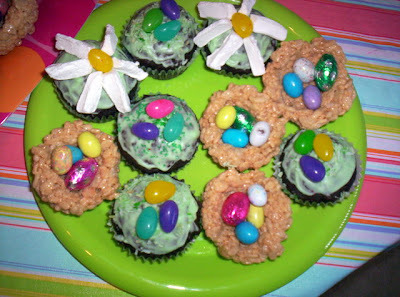 I used coconut that I dyed green with food coloring for the grass and then put some jelly beans on the tops to make tasty Easter basket treats. To make the flowers I used a big marshmallow and cut it into 6 piece (using kitchen scissors) and I used a yellow jelly bean for the center. Let me know of other fun Easter treats you make!! Happy Spring readers!!! We got hit with a big snow storm at the first of the week (30+ cm) but now its melting away with the warm temps and the little bits of sun. I am re posting today because I have been working on a big presentation that I am doing tomorrow evening for 200; 8-12 year old gals! The other day as I was cleaning out the spare room I came across a bunch of plastic piture frames I had picked up at the dollar store years ago. My first thought was to toss these things but on my way to the trash can I had an idea. I don't know about you guys but I have some recipes from people that are written on recipe cards. These are wonderful to have around but I find that my cards are starting to look like they have been in the recipe a few times if you know what I am saying. They get everything splashed on them and I always have to use my grubby hands to flip most of them over when I am in the middle of make the recipe. Quickly putting two and two together I decide to save these and use them as recipe card holders. First I dug through my card making stuff to find some random stickers I have and placed Kate's Kitchen on the top to give it a little bit of decor. Now if something splashes on it I simply wipe it off with a wet cloth and my card is saved and can be placed back into the recipe box as clean as it came out. 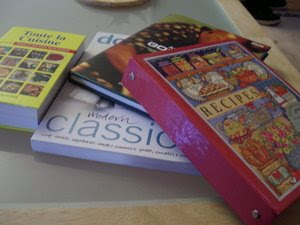 Another idea that a wise friend of mine showed me is she places her cook books into a large Ziploc bag when she cooks. That way it preserves the pages. Eating healthy doesn’t have to cost you a fortune if you take the time to prepare before you head into the grocery store. In the beginning preparing a game plan may take a little extra time and effort but once it becomes a habit your bank account will be thanking you. The key to shopping on a budget is planning out your meals and trying to make things from scratch. See I put this picture up because that is what most people think when the words "from scratch" are mentioned. But let me inform you that the scratch word doesn't need to be scary and you know what; it really doesn't take that much more time to prepare then most convenience foods. With the economy going down and the price of food being not that cheap I want to give you 3 tips on how you can make Nutritious Frugalicious Meals. So if you are ready lets dig in!! So before you can begin your plan its best to create a recipe bank by going through cook books or looking on-line to copy down recipes that you enjoy or would like to try. Having this collection will make it easier to create your grocery shopping plan. Here is a weekly and monthly printable meal plan sheets to get you started. Begin your planning by first looking at the weekly flyers to see what is on sale. When you know what items are on sale it’s easy to figure out which recipes you can make from your bank. While looking through the flyers check your cupboards, freezer and refrigerator to see what ingredients you have to accompany the ones on sale. This will help you put together a menu for the week. Try to create your menu according to Canada’s Food Guide by enjoying meals that include vegetables, whole grains, fish or lean meats, fruit and milk. With a completed weekly menu you are now ready to make the shopping list. Having a list with you will help you remember the items that need to be purchased. Write down only the items that you need for your weekly menu and try to write your list according to the store lay out so you don’t find yourself going back through the aisles making impulsive buys. With a well made game plan you are now ready to hit the stores. 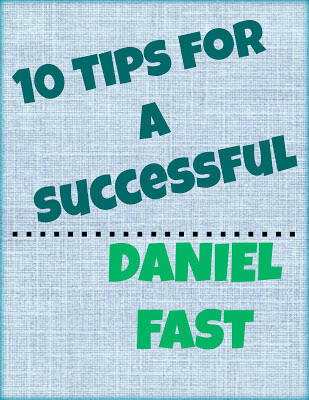 Here are a few “in the store tips” to help you be a Smart Shopper. Scan the shelf from top to bottom: The less expensive items are found on the top and bottom shelves. More for less: Buy foods such as cereal, pasta, rice, sugar, beans, herbs and spices from the bulk section. Aisle last: Fill up your chart with items from around the outside of the grocery. The items in the aisles are more expensive pre-packaged foods. Reduced items: Find out when produce, meat and bread products are reduced. Try generic: In many cases, store brand foods are identical or as good as name-brand products. Single serving packages: Crackers, yogurts and carrot sticks are convenient but they are no bargain. It’s cheaper to buy these items in bulk and make your own snack sizes. Have a look: Unit prices are the #1 way to tell if you are getting the most for your money. These are found below every food item in the store. On hand: Always keep basic cooking items in the kitchen. Prices: Keep a price list of the food items you usually buy so you can check it with sale prices to be sure your getting a deal. Put it in the freezer: Freezing meats and bread products that have been reduced or bought on sale will save you big money. In season: Fruits and vegetables bought in season cost less. Many of these products can be bagged and frozen for 6 months or more. No added sauces and seasonings: These products not only add up on your grocery bill but they are also high in calories, fat and salt. Go for leftovers: Save time by doubling or tripling recipes and freeze the leftovers for another meal. Last week I just did a post about what types of foods I like to keep in our pantry. Also I am really enjoying having pre made mixes (made by me of course) on hand for days when I have very little time to measure out and create a recipe. There are lots of "stocked pantry list" that you can find on the internet but the thing that I advise is you go through your cupboards and keep a little record of the foods you have in there and the ingredients that you bake and cook with the most. I love my freezer so much and have so many things that I stuff in there. I love that I can buy lots of foods that are marked down and I can stock up on foods when they are on sale like cheese. Because I have so much stuffed in there I needed to organize it a bit so the food I was purchasing wouldn't get lost and freezer burnt. Also the freezer is great for making meals in advance and this is where the money saving comes in for a two parent working home. Its great to make large batches of meat loaf, meat balls, sauces, chili, taco meats, fajita meat...anything you can think of to have pre-made meals ready in the freezer that way you can pull them out before going to work and heat them up when you get home!! I love having lots of these meals in the freezer for days that we need a fast supper!! 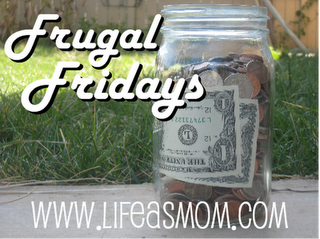 So there are my 3 main tips for creating frugalicious meals! !